At Anthony Spink Dental Suite, you can find a spectrum of services to suit your family’s every dental need. Adults and children alike want to enjoy showing off a gorgeous smile. But few are fortunate to be born with perfect teeth. If you’d like to have a more aligned look, we offer different orthodontic solutions to suit your needs: Invisalign®, Smilefast® and traditional braces. We’ve invested in offering the most advanced orthodontics options along with traditional techniques. You can choose what suits your particular situation and budget. We’ll work with you to formulate a treatment plan to meet your smile goals. 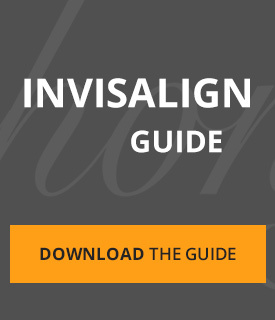 Invisalign has quickly become a favourite around the globe for straightening teeth. It involves sets of clear aligners that are switched out at regular intervals, shifting your teeth into the desired position. Nobody has to know you’re wearing them, and the aligners can be taken out for social events or to eat. Clear braces move your teeth efficiently with treatment times averaging just 6-9 months. Despite the advanced technology involved, it’s an affordable orthodontic option. Metal braces can correct a broad array of issues and are suitable for all ages. You’ll have regular checkups during your treatment to ensure the best results. How will I know which orthodontic system is right for me? There’s only one way to discover which of our orthodontic systems is the best choice for your particular smile goals. That’s to book in for a consultation with our experienced team. We’ll examine your teeth, discuss what you’d like to achieve and make our best recommendations. Based off of these, you can decide how you would like to proceed. How long does treatment take for orthodontics? The length of time that you’ll have your orthodontics depends on how much your teeth will need to move to reach your desired outcomes. It differs for every person. If you only require mild correction, you may just wear your braces for a month. More complex cases can take 1-2 years. We’ll discuss what you can expect from your orthodontic treatment at your initial consultation. You’ll be able to move forward feeling informed and confident. I’ve had braces before, back when I was a teenager. Can I have them again? Yes! It’s not uncommon that your teeth can shift out of place despite having had an orthodontic correction in the past. You can choose to have treatment completed again, and we’ll discuss how you can prevent your teeth from moving back to their original position after you’re done wearing your orthodontics. Is there an age limit to having orthodontics? There is absolutely no age group that is best for orthodontics. Whether you’re a teen or a senior citizen, you can be eligible for orthodontic treatment. We’ll be happy to assess your teeth and gums to determine which is best for you. 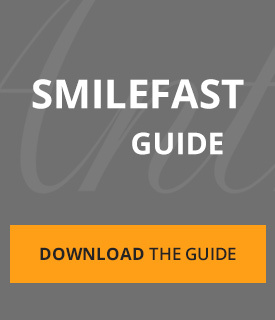 Show off a straighter smile with improved functionality. Contact us today to schedule an evaluation for orthodontics Brighton! Our late opening hours cater to busy schedules.